Tea Farm sparked my interest when I first read about them in local-ish news. Tea Farm is a Canadian tea company that is locate on Vancouver Island, British Columbia. They are growing tea plants and waiting for the plants to be mature enough prior to harvesting and creating their own teas. Until then, they source teas from elsewhere in the world for their organic loose leaf teas. I came across their tea for sale at a winery during this past summer (Tea? At a winery? Don’t mind if I do!) and I couldn’t resist buying some, as a tea enthusiast does. 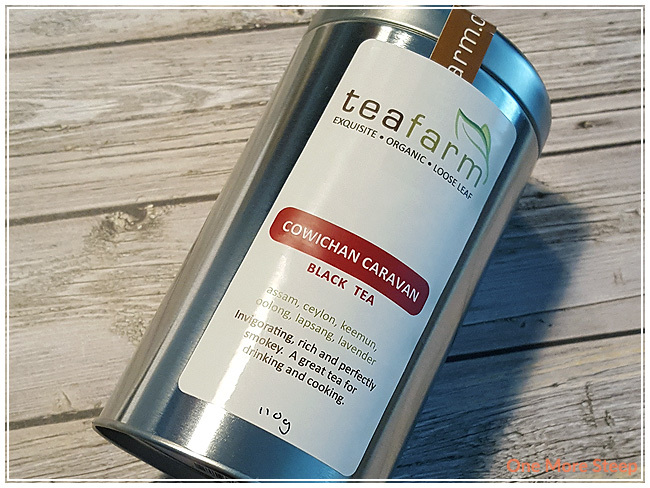 Cowichan Caravan is a black tea blend, made up of: Assam, Ceylon, Keemun, oolong, Lapsang, and lavender. The dry leaf of Cowichan Caravan has an incredibly strong smokey smell to it, the lapsang is obvious when it comes to the aroma that comes out of the tin. There are lavender buds in the tea that are visible, but I cannot pick out any floral aromas from the tea at all. The label wasn’t lying when it stated that it is “perfectly smokey”. Tea Farm recommends using boiling water for each 2g of tea and to steep for 3 to 5 minutes. I opted for the black tea function of my variable temperature kettle (one of my utmost favourite purchases), and steeped the tea for about 3 minutes for the first steep. As the tea begins to steep, it is pretty much an instant golden red in my tea pot. The smokey flavour wafts up me as the tea steeps, right before I pop the lid of the teapot on. I first poured a little bit of the tea into a sampling cup and it is just this beautiful golden yellow colour that reminds me of marigolds. 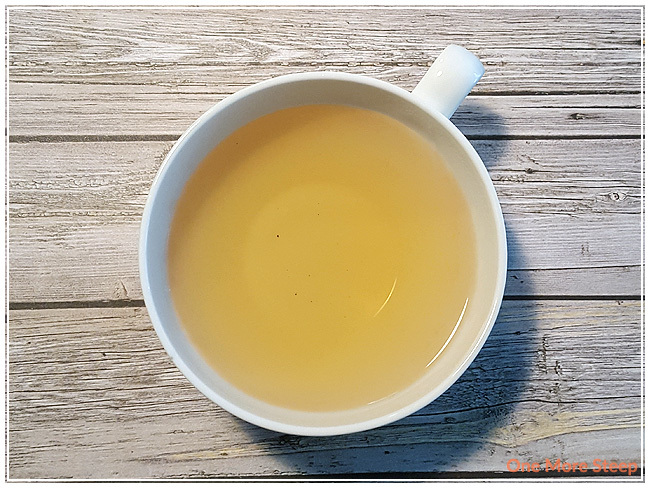 The tea itself has this smooth texture to it, there’s a light smokiness that isn’t unappealing, and there is just this slight floral sweetness to the tea. While I know that the only floral component is the lavender, I can’t make it out as being specifically lavender, just a nice overall floral sweetness to the tea. Steeping for the recommended time results in tea that isn’t bitter, which I can always appreciate. Cowichan Caravan resteeps well, I found that the smokiness is lighter and there is a stronger malty flavour to the tea (likely from the Assam). The sweet floral notes in the first steep are very much present and lovely on the palate. Cowichan Caravan steeps to a more bright yellow for the subsequent steeps with less of an orange hue to it. I enjoyed the second steep better than the first. I did do a few more subsequent steeps, and found that the flavour really begins to fade by the fifth steep. I liked Tea Farm’s Cowichan Caravan. I really enjoyed Cowichan Caravan, and always appreciate a tea that can be resteeped over and over again. 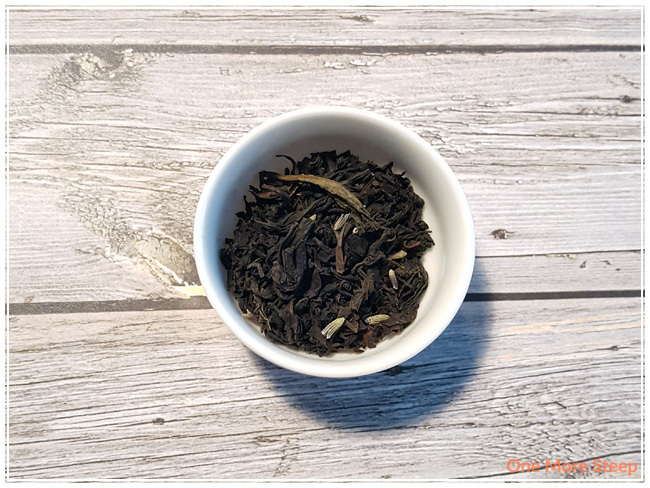 Smokey flavours aren’t generally my favourite, but I think that the second steep was the best steep out of all five that I did. 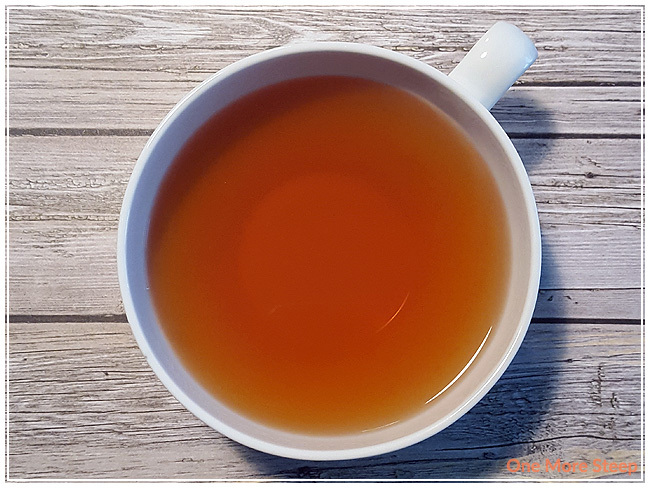 The smokey flavour with the malty Assam base go very well together and it makes for an enjoyable cup of tea. It is quite the savory tea, despite the addition of the lavender buds, I think it would be a lovely tea to have with a meal instead of a tea that you have for an afternoon tea.